A prenuptial agreement or a prenup is a legal document that essentially outlines what will happen if a divorce occurs. While this document can dictate very specific details, it cannot address all areas of concern. There are some restrictions for a prenup, and if they are not followed, they could invalidate the document. What can and cannot be included in a prenup? Let’s begin with a general overview of what can be addressed in a prenuptial agreement. A prenup can distinguish between marital and separate property, provide protections against the debt of the other spouse, provide for a child from a previous relationship, protect family property so it remains in the family, protect estate plans, provide directions for property division during dissolution and even describe the responsibilities of each spouse. There are some issues that a prenup cannot address. This includes provisions that detail anything illegal, decisions regarding child support or custody, waiving the right to alimony, provisions that encourage divorce and provisions that detail personal instead of financial matters. Drafting, enforcing or invalidating a prenuptial agreement can each be a daunting task. Thus, it is important that individuals or spouses understand what rights they have and what options are available to protect these rights. This not only helps establish a valid prenup but also ensures that it operates properly in the event of a divorce. (United States Fifth Circuit) – Held that a deceased man’s ex-wife was entitled to a specified portion of his 401(k) retirement account balance. Affirmed a summary judgment ruling, in a dispute between his ex-wife and his widow. 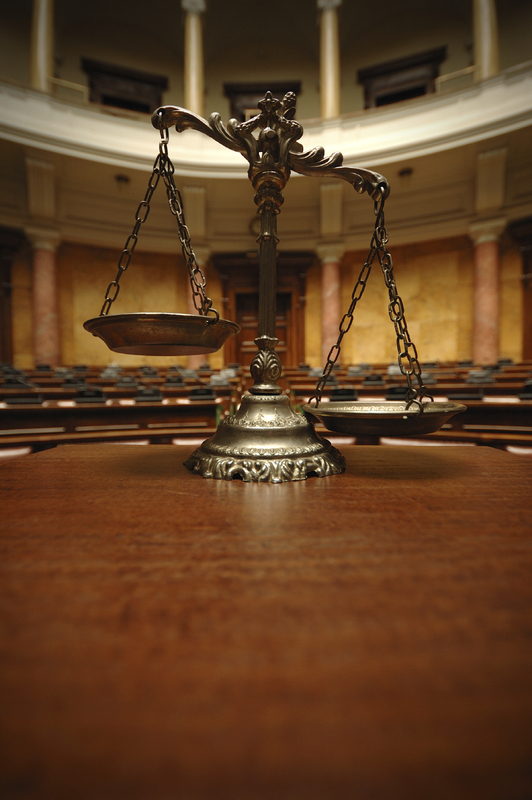 The post When a judge changes their mind appeared first on Stowe Family Law. The family courts in England and Wales are renowned for being a popular destination for wealthy and warring international couples. So much so, that London has been dubbed the divorce capital of the world with people racing to file a petition in England so that our courts determine the financial split (if this can not be achieved amicably). However, last week’s decision in the High Court case of Pierburg v Pierburg may, at last, bring clarification to a long-standing debate concerning how to establish whether the court has jurisdiction to deal with a divorce. We asked Senior Partner, Julian Hawkhead, to join us on the blog to look at the case and the implications for international divorce cases. Last week a decision of the High Court was handed down which may, at last, bring clarification to a long-standing debate concerning how to establish whether the court has jurisdiction to deal with a divorce. As has been explained in previous articles in this blog, where there is more than one EU jurisdiction in which divorce proceedings could be commenced, the EU regulations apply. In the case of Pierburg v Pierburg, the parties were both German nationals, they had resided since the early 2000s in Switzerland for tax reasons but had taken a rental property in London, mainly because their son had been educated here. When the marriage broke down, the wife in or around July / August 2017 moved into the London property. Her time spent between London and Switzerland was carefully counted by the husband, indeed as were all her movements between the two countries, and her visits back to Germany to see her parents from 2015 onwards. In January 2018, the wife issued proceedings in England on the alternative bases of (a) having been domiciled in England and resident here for 6 months or (b) having been resident in England for 12 months. The reason for the alternative pleading being the fact that they had held the tenancy of the London property as a rental property for many years prior and that she had regularly spent time in England. A month later, in February 2018, the husband issued in Germany. The German court quickly adjourned the German divorce proceedings until the legitimacy of the English proceedings had been determined as the English proceedings had been issued first. What is clearly at stake here is a financial benefit. When the parties married in Germany back in 1985 they entered into a separation of assets marital regime in which the wife would also not be entitled to any maintenance provision. The English court, however, would be very likely not to regard such a financial prohibition as fair and would award her substantial maintenance whether in the form of regular payments or more likely a capitalised maintenance sum to provide for her lifelong needs. The husband was resisting England having jurisdiction to prevent this and to limit her financial entitlement by a stricter approach as would be adopted in German. The case involved substantial assets and high powered people. The husband had made his fortune in the German automotive industry. They lived in a Chateau in French-speaking Switzerland (it was a feature of the husband’s case that the wife had never settled into Switzerland and had not attempted to learn or speak French), the son of the parties was educated at a boarding school in England and they had taken a house in London. The wife called upon the Countess of Chichester and the Chief Executive of the Prince’s Foundation as witnesses of her move to and connections with England. What is the law concerning jurisdiction? Article 3 of Council Regulations (EC) no 2201/2003 says that jurisdiction in relation to a divorce shall lie with the courts of the EU member state in various scenarios. I won’t go through them in detail here but they can be found in previous blogs here. The applicant is habitually resident if he or she resided there for at least six months immediately before the application was made and…in the case of the United Kingdom and Ireland, has his or her “domicile” there. As mentioned above, the wife sought to rely on pleading both these reasons scenarios in her divorce petition. The debate that has been ongoing since 2007, in which there were two decisions concerning the basis for establishing jurisdiction through the habitual residence. In the case of Marinos the then Mr Justice Munby took a very literal interpretation of the words habitual residence and residence. He decided that to establish “habitual residence” one needed to be only resident, or living in a jurisdiction for the requisite period of time. This meant that if a person issued a petition on say 1 September 2017, they only needed to have lived for periods of time for the twelve months prior to that time if they couldn’t also evidence domicile there or six months if they could. It is possible to have more than one residence. Habitual residence, however, has a much stricter definition and a person can only have one habitual residence so that in this case if the habitual residence was the determining factor the wife was either habitually resident in Switzerland or in England. In the case of Munro, Mr Justice Bennett took an alternative interpretation of the Council regulations namely that to establish habitual residence you had to have been habitually resident and not merely resident in a country for the requisite period of time. Is this just semantics, lawyers just playing with words? Not at all as the importance is very different and is key to the six and twelve-month timescales to enable a person to establish jurisdiction. When the regulations first came into effect an explanatory note was produced by Dr Algeria Borras in what is known as the Borras report. The problem has arisen that when this explanatory note was translated into different languages, the word habitual was left out in the English and coincidentally the German translations. The husband’s legal team, however, showed to the court how in the French, Dutch, Italian, Spanish and Portuguese versions, by way of example, the need for the habitual residence was clear. In the English version of that report, it merely says “he or she must have resided there for at least six months”. Therefore supporting the Marinos interpretation of the regulations. However, in this recent case, Mr Justice Moor preferred the husband’s arguments and took a wider view of how the EU regulations had been interpreted around Europe. His attention was brought to the fact that in Finland, Latvia and Sweden, for example, the word “habitual” was not used at all. Considering all the circumstances of the case Mr Justice Moor came down firmly in favour of the Munro interpretation: namely that to establish habitual residence a person needs to have been habitually resident and not merely resident in a country for the requisite period of time. He recognised that this might be regarded as controversial as he was disagreeing with the opinions of only the then Mr Justice Munby who went on to become not only a Lord Justice but also the President of the Family Division but also the then Mr Justice Peter Jackson who is now sitting as Lord Justice of Appeal. He points out however that they did not have the benefits of the convincing arguments that he had heard in his particular case. When did the wife become habitually resident in England and Wales? Did she become resident (rather than habitually resident) on a different date just in case the Judge’s interpretation of the Marinos / Munro debate was incorrect? Is she domiciled in England and Wales? The Judge in reaching his decision draws the distinction between residing somewhere and visiting it. A person can reside in England and visit their own holiday home in another country. He also assessed the extent of her ongoing connections with Germany and in doing so reaches the conclusion that the wife had not changed her domicile to England by 12 January 2018 when she issued her divorce petition. In reviewing all the circumstances of the case the Judge found that the wife could not establish jurisdiction in England at the time she issued her petition and therefore the petition had to be struck out. Ultimately this is a case motivated by money. The husband’s legal team freely admitted that it related to the financial remedies available to the wife if the divorce is progressed in England rather than Germany as in Germany, according to the marriage contract she would not be entitled to anything including maintenance. It would, in English law be a travesty for her to receive nothing at all and Mr Justice Moor observes that if remains the case then she may be entitled to bring a claim for financial relief following an overseas divorce under Part III of the Matrimonial and Family Proceedings Act 1984 and he deliberately reserves any such application to himself. It seems to me this is a stark warning to the husband to ensure that regardless of what the German law may provide he should consider making some acceptable level of financial provision to the wife to ensure fairness is achieved. This case does bring further weight and clarity to the question of how to interpret habitual residence. Only last year I had a case where the parties had been residing in Spain for many years and then the wife unexpectedly came back to England and commenced divorce proceedings claiming that she was domiciled here and had been resident here for six months prior to issuing the petition. Fortunately, we were able to reach a financial settlement agreement which meant that the parties did not need to spend a significant amount of money arguing about jurisdiction. The terms of our Brexit from Europe may, of course, put a completely different spin our these regulations and there is plenty of guidance issued looking at different scenarios. What seems likely at the moment is that we will not have a hard Brexit in which case overnight all these EU regulations will fall away and it is likely that we will continue to have a relationship with Europe in some shape or form in which these regulations are likely to continue to apply in some way yet to be finally determined. In the meantime, what is of vital importance is timing. If there is a case of a possible jurisdiction race then it is essential you seek legal advice at the earliest opportunity from lawyers who specialise in a divorce involving international issues. The post Habitual Residence v Residence: What is required and do we have clarity at last? appeared first on Stowe Family Law. The post Do we even need a ground for divorce? appeared first on Stowe Family Law. The post Stowe comment: Arbitration v Court appeared first on Stowe Family Law.